It’s still early in the new year, which means that there’s plenty of time to pursue your biggest goals and make lasting changes. Here at Sweeping Dimensions, one of our biggest goals for 2019 is to become even greener as a company. Our mission is to use more sustainable practices, reduce our consumption of plastic, cut down on waste, and – most importantly – help our friends, colleagues, and clients do the same. Here at Sweeping Dimensions, we’re particularly inspired by the beauty and wonder of our oceans. Water makes up the majority of our planet – and it’s important to take care of the delicate ecosystems that hang in the balance, in seas, bays, rivers, and lakes all around the world. If you’ve ever gotten the chance to go whale watching, and see these majestic and incredible creatures in action, you know how powerful it can be to experience sea life up close. Gazing at a whale breaching the surface of the water, you understand how much of this world belongs to the flora and fauna that live underwater – and how much our lives up here on solid ground are directly tied to the health and wellbeing of the plants and animals of the deep. It’s true. Our consumption habits here on dry land impact animals and plants in the ocean in myriad ways. And when the natural habitats of ocean creatures are affected, we feel the negative ripple effects on the surface. The bottom line is that it’s all connected. Our actions have consequences – and it’s time to step up, make a change, and fight for the kind of clean, healthy world we want to inhabit. Every day, it’s important to be reminded that our smallest actions have a huge impact. That’s why we adopted a little “pet project” this year. 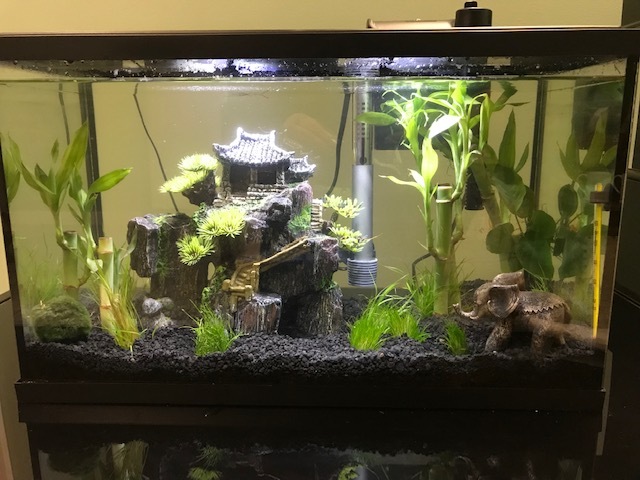 To remind us of why we’re committed to protecting ocean waters and wildlife from junk like plastics that do not belong, we adopted a gorgeous fish, and set up a home for it right in our office. Our office fish will be a constant reminder of our goal of protecting the oceans, and making the world a more sustainable place for all forms of life. To save our oceans, it’s going to be incredibly important to do the work. We have to walk the walk, not just talk the talk. That’s why, in 2019, Sweeping Dimensions is making it a mission to help support charity organizations that are fighting for cleaner, healthier oceans, like Blue Ring Inc., 4Ocean, and Mission Blue. We’re committed to providing support in many different ways, through education, contributions, partnerships, and so much more. Follow our team here on the blog and on social media to see what big steps we take next! We could go on and on. Bottom line? We’re truly committed to doing things the right way here at Sweeping Dimensions. We only get one Earth, and one chance to make a difference – so we’re not going to waste a single opportunity to be as sustainable as possible. We’re always looking for new ways to go green, and making sure that our cleaning methods are up to the highest standards – for ourselves, and for the clients who entrust us with their homes and businesses. 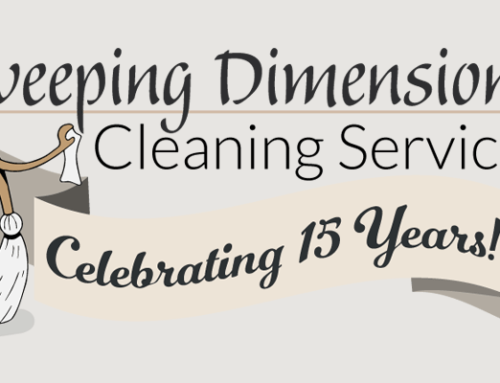 Here at Sweeping Dimensions, we always make a sweeping effort to make life less stressful for our clients. We focus on handling all sorts of cleaning and housekeeping projects, so you can focus on the other things that matter to you, including spending more time with your friends and family. A big part of that is making sure our clients’ wants and needs are met. That’s why we make a point of always having green, environmentally friendly cleaning solutions on hand and ready to go – at no additional cost to our clients. And more than that? We believe in cultivating a community. So many of our clients, including homeowners and building managers, stop us to ask about the cleaning solutions we use, and the tips we have to offer. That’s why we make it a point to always share our professional insights on our blog, and using networks like Facebook, YouTube, and MeWe. We believe in passing along our knowledge, whenever we can. We love to talk all things cleaning and organizing, including the strategies that can make taking care of your home more sustainable. The more people we can bring together in our mission for a greener world, the better off our oceans, lakes, and rivers will be. So, if you ever have a question about comparing cleaning products, making green switches in your home, or taking care of your houseplant or furry friends, don’t hesitate to get in touch – we’re always happy to talk shop and make a difference, however we can. We’re sincerely passionate about these issues, dedicated to finding real solutions, and always eager to keep the conversation going. 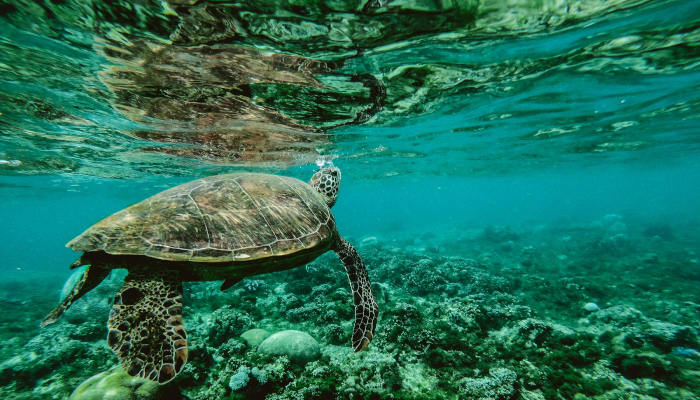 Ready to make a difference for our oceans in 2019? 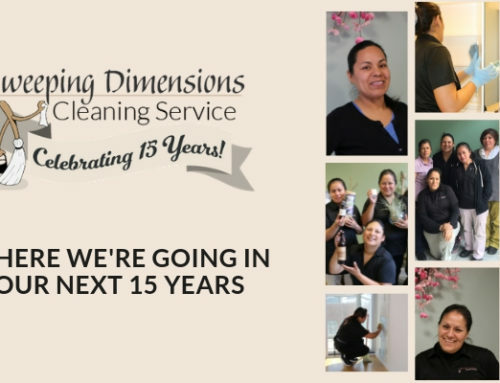 We’d love to have you on team Sweeping Dimensions! Curious about our story? Be sure to learn more over on our FAQ page. 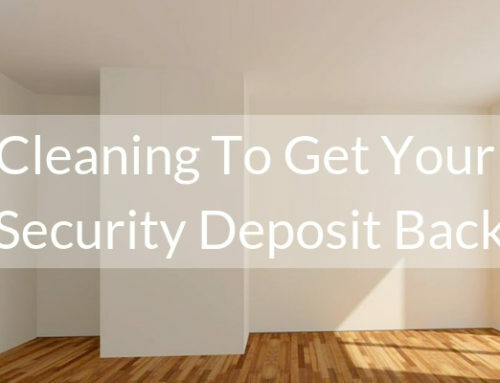 Ready to set up a green cleaning for your Chicago home? Don’t hesitate to reach out for your free estimate! Want to exchange ideas, or share how you’re going green this year? We’d love to hear from you via email, or on social media. Here’s to a healthy, happy, and productive year ahead! Let’s make the most of it – and let’s make a real a difference for the generations still to come.